Corbeau Reclining Seat - TRS UNIVERSAL - Dezod Motorsports Inc - Home of the automotive performance enthusiast since 2002. 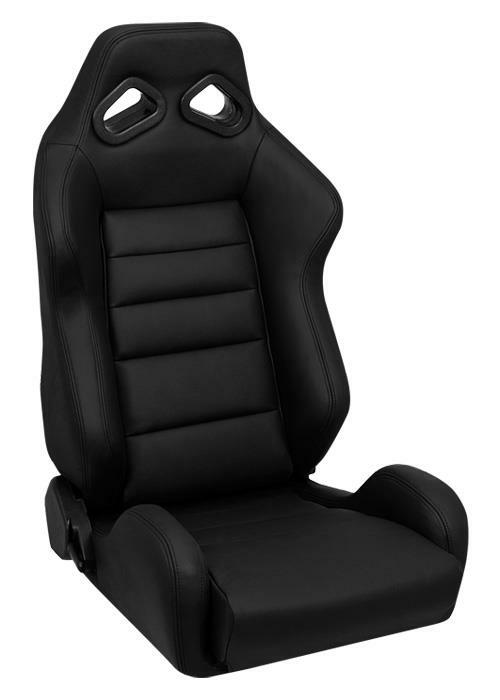 The heavily padded Corbeau TRS Racing Seat provides extreme comfort and support for drivers of all kinds. Standard features include: high-density injection molded foam, ergonomic design, harness belt capability, integrated shoulder, kidney and thigh support, and a fully adjustable seat back with a flip forward fingertip controlled lever for rear access. Corbeau is excited to release the TRS in an all-new 100% Black Leather option. The leather TRS will be readily available at a never before seen price. The TRS is extra aggressive in the shoulder area will fit up to a 36” waist. The Wide version (BLACK ONLY) will fit up to 42” waist.